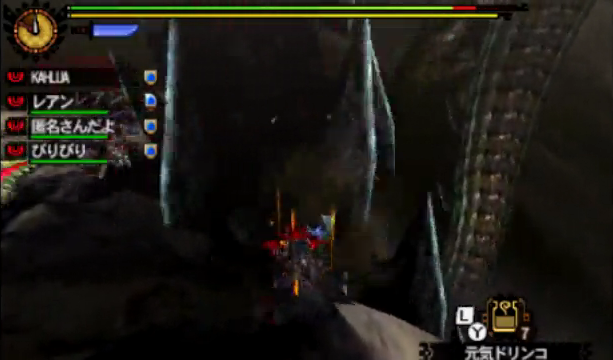 The Dalamadur was the online final boss in the Japan-exclusive Monster Hunter 4. 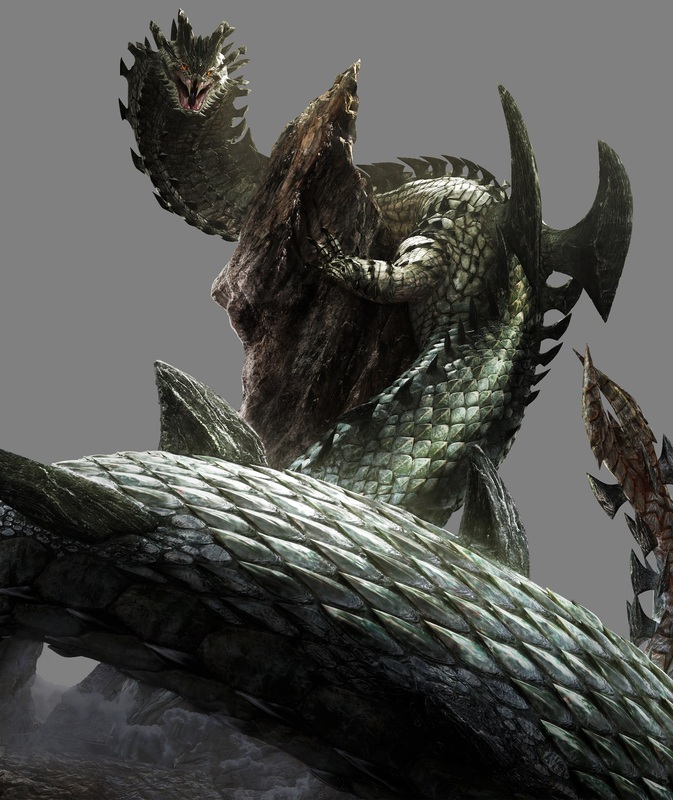 It’s easily one of the biggest monsters in the series, and even gets its own special area to fight in. Come and check it out! 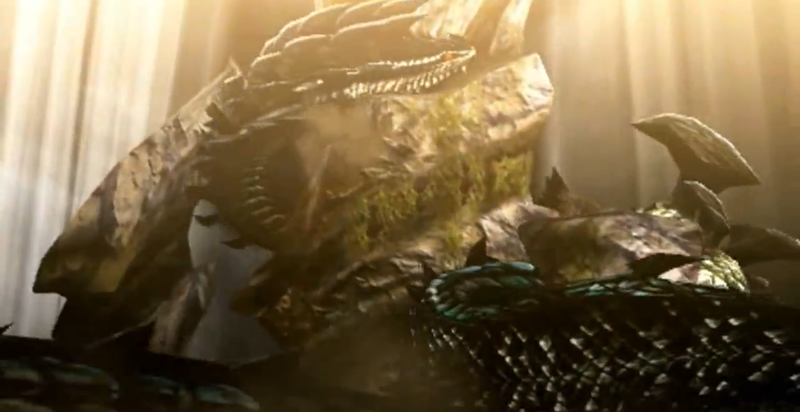 The Dalamadur is a long, dark-coloured elder dragon found in Monster Hunter 4 and Monster Hunter 4 Ultimate; in fact, it was the offline final boss in the former. It’s weakest to dragon, and has many, many breakable parts. Its two front claws can be broken once, while its head, chest and a large spike on its back can be broken twice, and its tail can be cut and then carved. It’s also known as the Serpent King Dragon, being a whopping 440 metres in length. Because the Dalamadur is so huge, you’re able to jump on it. It has a tendency to curl around large rocky pillars which you can climb and from there get to various parts of its body. There are two pillars. The main one, which is the one it’s curled around at the beginning, gives you access to a breakable part of its back if you head up all the way. There’s a giant spike-like thing sticking out of its back, which you can break by smashing a few times; when you break it, you’ll fall off the monster and into base, where you can pick up supplies and then climb back up. Make sure to break the back when it does this; I’m not sure it can be reached otherwise. You can also jump off its back partway up and on to some vines; if you climb them and head right, you can beat the crap out of one of its claws. Head left, you can leap on to its head. I miss this jump ALL the time; if the head moves when you jump, you’ll miss. Try to jump where the arrows indicate. I’m really bad at it. While on its head, you carve it a couple of times and even drop a couple anti-dragon bombs for damage. You can even attack the head with your own weapons, which is worth doing for both breaks. Try to do as much damage to the face as possible, as it’s generally quite hard to reach. I would recommend going for the back first, as the face can be hit throughout the fight and also when Dara falls over. On the second pillar you can reach its other claws much more easily than you could have otherwise; you can still reach them in the main area but it’s easier to get to them here. After a bit of time, Dala will actually curl around this second pillar and destroy it, so it can no longer be used. 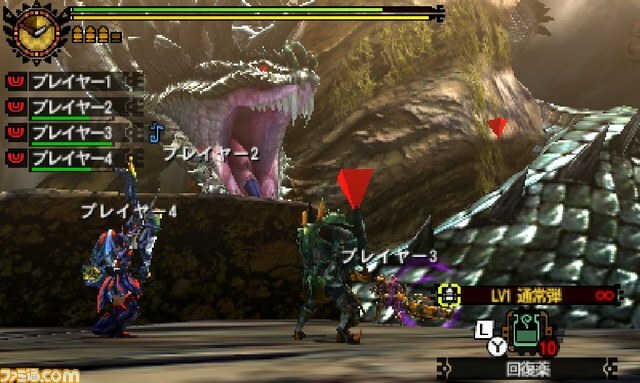 When it’s moving from place to place, Dala will steadily slide across the map, which is an excellent time to get some damage in; moving 440 metres of elder dragon takes a while. While it’s doing this, and indeed throughout the fight, fireballs may rain from the sky. You get a few seconds notice before they land, and they can be quite disruptive; I main great sword so if I see one coming when I’m charging, there’s not a lot I can do. There’s a large platform beside the main pillar in the area where you fight Dala, and it has a tendency to sit there for a while. When it’s here, its chest is exposed, so this is a good time to smack it. The claws can be reached as well, though they keep moving. When it’s sitting here, you can also usually find its tail on the other end of the map. It can be cut, but before it can be cut, it must be broken, and it needs to be broken BEFORE it destroys the second pillar I mentioned above. So make sure you do that when you’re able. Sometimes when it’s sitting in the main area, its head will be low enough to be hit, so you can smack it. Be wary of its tongue, as it flicks it in and out of its mouth and will paralyse you if it touches you. Also when it’s in this area, which it is a lot, it may do a huge breath attack, which it sweeps across the map. It cannot be guarded (with my great sword anyway; I have tried) and needs to be panic dived through (unless you have evasion). Dala can lob fireballs at hunters from here, which do a lot of damage if they connect. It also has a very powerful biting attack; it’ll ram its jaw into the ground and drag it across, which will do enormous damage if it makes contact. Sometimes, if you hit the Dala enough or break something, the beast will flop on to the ground and lay there for a few seconds. This is a good time to get some damage in and to hit the head; in fact, the first time I fought Dala I started smacking its head and made the first break after it fell. I didn’t realise what I had done until my partner congratulated me on the break and then its eyes snapped open right next to me and it began to rise, freaking me out. Good times. Once the monster’s dead, you get four body carves and four head carves, for a total of eight. The body carves are up on a higher platform, while the head is a bit lower. Add on to that the tail carve and two head carves for a total of eleven! Next week I make the jump to G rank with the Desert Seltas! 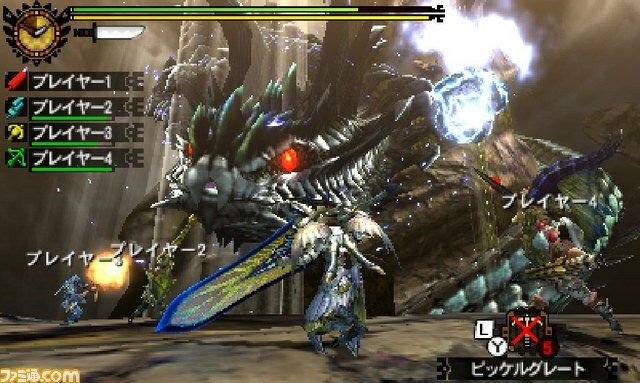 Thanks to the Monster Hunter Wiki and Gaijin Hunter’s tutorial for the images.